A packable alternative to hard-shell boards, the Aquaglide Cascade 11 ft. inflatable stand up paddleboard offers versatile all-around performance that's ideal for the whole family. Speed up your setup so you can spend more time out on the water. 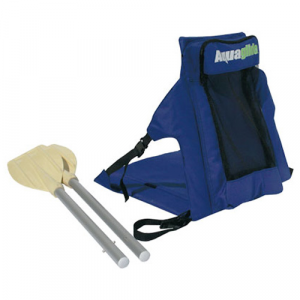 The dual-hose Aquaglide High-Pressure kayak pump quickly inflates watercraft with Boston or spring valves up 15 psi.